by T. Ballard Lesemann Genuine Kingston cred............ Kingston, Jamaica, is holy land for stateside reggae musicians. For the core members of Charleston dancehall reggae group the Dubplates, a chance meeting with one of their heroes — underground dancehall superstar Zumjay (pronounced "zoom-jay") — led to an unexpected pilgrimage to the musical Mecca over the spring. The band's relationship with Zumjay started when the Dubplates performed at Kulture Klash at the Navy Yard in April 2011. "When I got off the stage and started walking through the crowd, a guy tapped me on the back and said, 'Hey Brady, I'm Zumjay,'" singer/guitarist "Daddy" Brady Waggoner remembers. "He's not a household name in the U.S., but he's a big deal in Jamaica, a really intense DJ. I'd been spinning his stuff here, but I wasn't sure it was really him. I couldn't believe I was standing there chatting with him — and I couldn't believe he knew my name." As it turned out, Zumjay had been traveling back and forth between Jamaica, the Middle East, and the States. He randomly caught the Dubplates at a few local gigs months before and liked what he heard. 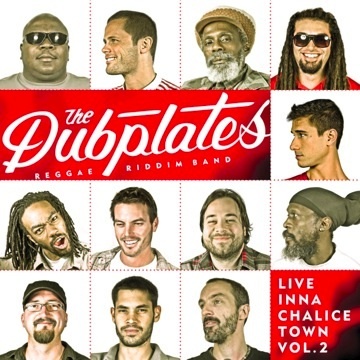 The Dubplates struck up a friendship with Zumjay and hosted him at their local studio during several sessions over the last year. "Big Hair and I put down about 40 tracks to start with, just instrumentals," Waggoner says. "He sat in on the ones he liked. One of them popped up as a hot one, so we worked on it back and forth until he really got behind it." The track, titled "Playing with Fire," is a big-beat party anthem with a borrowed synthesizer riff from Europe's "Final Countdown" and vocal tracks from Waggoner, bandmate David "Big Hair" Brisacher, and Zumjay. "Zum started the lyrics, talking about a girl who's playing with fire in a sense by flirting with him," Brisacher says. "After we mixed it, we made plans to travel to Jamaica to promote it. We showed up armed with the song and Zumjay's support, so we were able to get it played in a couple of nightclubs and in Irie FM." Their journey from local bar band guys to international collaborators began years ago when Waggoner and Brisacher put the Dubplates together from the loose remains of the Dub Island Sound System. The band regularly performs as either an 11-piece ensemble or as a scaled-down DJ combo. The current Dubplates lineup includes Papa Robbie (a.k.a. Robert Ellington) on vocals, Andy Masker on sax, DJ Trailmix on turntables, and "Daddy" Waggoner and King Sing on guitar and vocals. The rhythm section features David "Keesy" Ham on keys, Philaments on drums, Charlie Coconuts on bass and trombone, and Shawn Legree and Dub Denizen on percussion. "Papa Robbie is instrumental to the crew," says Waggoner. "He was named by [Jamaican dancehall musician] Shabba Ranks, he has toured with Yellowman, and he is our patriarch. It's a great crew all together. We were apart for a few years, but it was fun getting the crew back together. Now, everyone fits in well, and the full-band sound is pretty huge. The response is deeper than what we used to experience." Waggoner, Brisacher, and bandmate David "Keesy" Ham (keys) recently made a two-day trip to Kingston to promote "Playing with Fire." It was great timing, as their first outing became a full night at Jamaican dancehall and reggae artist Sean Paul's popular Club Riddim during a birthday party for Aidonia, another of the town's top musicians and singers. On day two, they played music at acclaimed dub mixer and record producer King Jammy's studio in the Waterhouse district of Kingston. "Everything on that side of Kingston was super-sketch and really rugged, so having Zumjay help us out was great," Brisacher says. "Once we crossed the mountains and into his neighborhood, we went out to Club Riddim and had a blast. By the end of the night, all of the artists in the room were jumping on the stage and passing the mic back and forth." Waggoner was awestruck by the scene, but he kept his composure. "Sean Paul's club is one of the hottest clubs in Kingston, and it's at the heartbeat of all the new stuff going on down there," he says. "I practically yelled at Sean Paul when I said hello to him. He and everyone else were very welcoming. Hearing our track on their sound systems blew our minds."